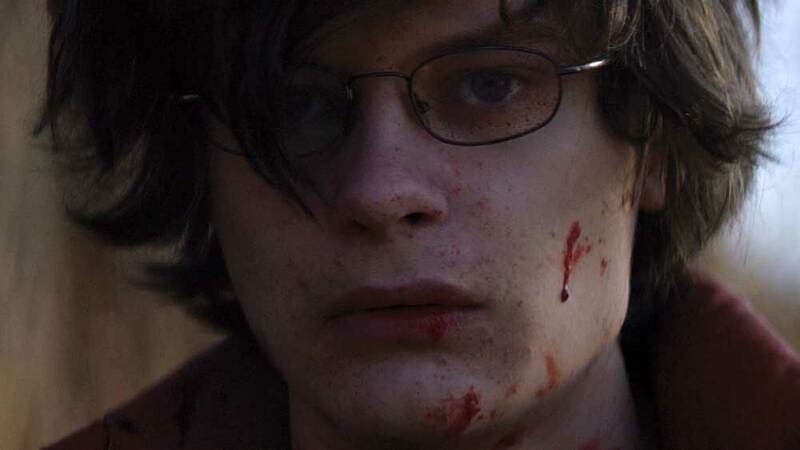 Super Dark Times is a very dark thriller set in the 1990s. Definite elements of gore, but the horror is of a more realistic nature. On Netflix worldwide now! Super Dark Times really took my breath away. Instead of the 1980s vibe of Stranger Things and Dark, we’re now in the 1990s. Also, it’s a lot less about being nostalgic and a lot more about everyday life. The simple fact that not everyone has a phone on them at all times is so damn perfect for horror. And unlike the 1980s period, playing video games and owning a computer is normal. In other words, we’re approaching the intense tech and communication levels of today, but not quite there. This obviously becomes very important when a teenager disappear and parents can’t call their kids unless they’re at home. Now parents want their kids to stay at home. Or stay at a friends’ house, so they can still reach them. It’s such a simple thing that the world in Super Dark Times is cellphone free. But it means so much to the plot. I mean, you don’t hear many parents today insisting on their child being at a specific place, so they can call them. They just want their kids to answer the damn phone. Also, parents can keep tabs on their kids via GPS on the phone, so there’s no need to be actively informed. Another important element in Super Dark Times is the fact that – because there are no cellphones – people have to actively go to one another’s houses. If you don’t know where your friend is, then you start by going to their house. If they’re not home, maybe someone there can tell you where to find them. Or you just get back on your bike and try another friend’s house. As someone who was probably the same age at the time of the story, I can relate deeply to this. Of course, when someone goes missing, it also makes it all the easier for them to remain missing. And for those who may have been part of a crime, to cover their tracks. The cast in this movie is everything. You have no problem believing in the friendships and conflicts. Also, the relationship between kids and parents are perfect. So very different, but all very realistic. Our main protagonist, Zach (Owen Campbell) lives with his mom (Amy Hargreaves) and they have a great relationship. Very honest and respectful and extremely warm. Basically, they’re like a Gilmore Girls version of a parent-child relationship. Owen Campbell and Amy Hargreaves together is the very heart of the movie. Zach’s best friend is Josh, who’s played by Charlie Tahan. He has the kind of face that I find both annoying and fascinating. Probably mostly annoying because he portrays characters that annoy me. And I do mean this as a very heartfelt compliment. He takes on complex characters like that of Jonathan Crane / Scarecrow on Gotham and Wyatt on the brilliant Netflix show Ozark. Finally, Elizabeth Cappuccino plays Allison. Cappuccino also played the young version of Jessica Jones on the Netflix show Jessica Jones. Allison is the girl both Zach and Josh like. However, she only likes one of them back and is very honest about it. Don’t worry though, this isn’t at all the story of the movie. 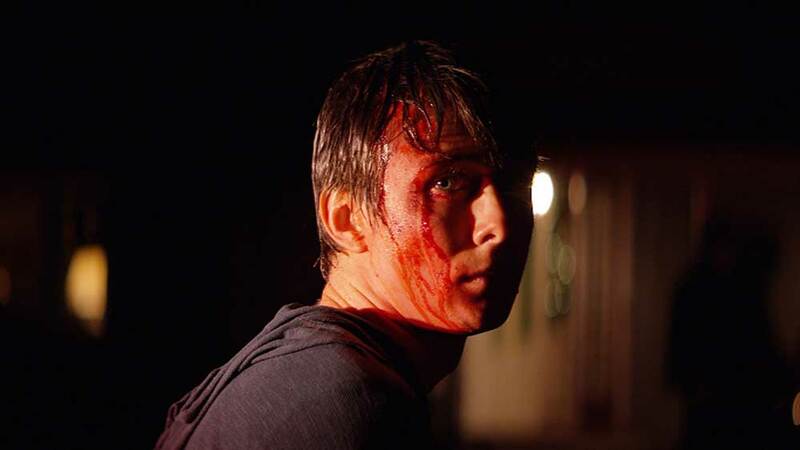 The real story in Super Dark Times is about how an accident can turn into a crime. And how it will haunt you – both literally and figuratively. I almost couldn’t believe it when I realized Super Dark Times is the feature film debut for director Kevin Phillips. I mean, this is a tough and dark movie in so many ways. Yet both the runtime is perfect and the heart of the story obvious beginning to end. The script was written by Luke Piotrowski and Ben Collins. They’ve worked on two short film scripts together and wrote the screenplay for SiREN in 2016. SiREN was originally a short film in the V/H/S horror anthology, so they can adapt stories as well. Luke Piotrowski and Ben Collins also wrote the screenplay for Stephanie. The 2017 movie was directed by Oscar-winning screenwriter, Akiva Goldsman. Hopefully, they have a lot more stories in the making. I will definitely be keeping an eye on both screenwriters Luke Piotrowski & Ben Collins and director Kevin Phillips from now on. The three worked on a short film before making this feature film together, so here’s hoping they’re teaming up for more projects already. Before being released on Netflix, the movie played at several film festivals including Tribeca and Fantastic Fest in 2017. It also screened at Molins de Rei Horror Film Festival where it won an award for acting (Owen Campbell), “Special Mention” for writer Ben Collins. 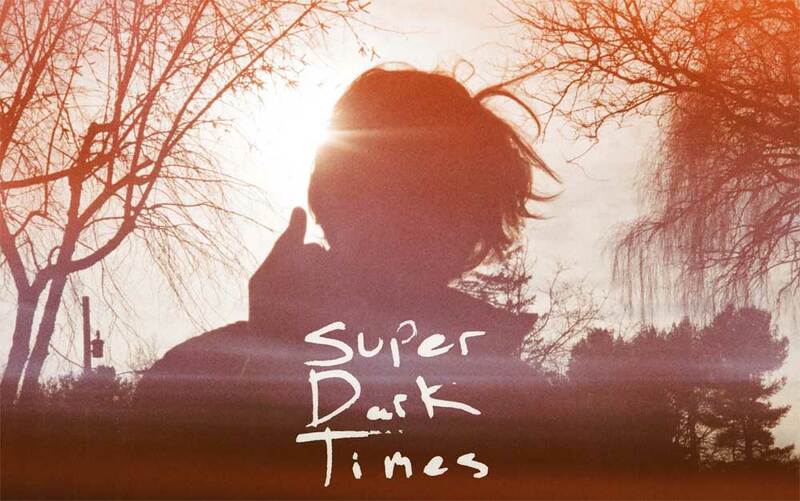 Super Dark Times was released on Netflix worldwide January 1, 2018. A tragic accident drives a wedge between two teenage boys, threatening a friendship that had seemed firm and unshakeable.